This charming king-george (expanded) home in victorian estates has been completely renovated throughout. The key improvements include: hvac units replaced, all new flooring throughout, renovated bathrooms including tiled shower and bath areas, renovated kitchen including all new stainless appliances, complete interior painting, newer roof (2016), all new fans and lighting fixtures. House features access to covered patio from family room and master bedroom. 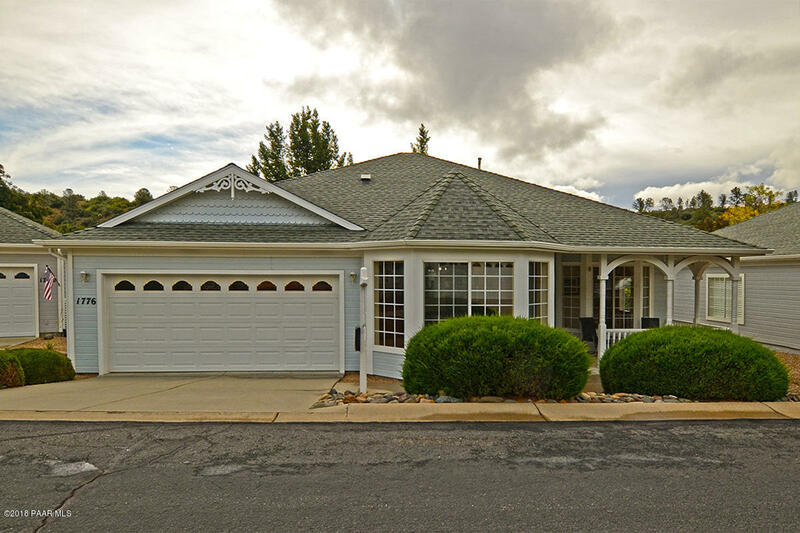 Victorian estates is centrally located between prescott and prescott valley. Quiet, 55+ gated community with an excellent recreation center and hoa. The house is walking distance to the pool and rec center. Note: per hoa and ccr's-- limit of 2 dogs (weight not exceeding 40#). Ccrs provided on request. For more information or make an appointment to see property ID 1016125.